Because EMRs are far from one-size-fits-all, specialty-specific templates offer increased ease of use and efficiency. From custom SOAP note templates to templates for a broad range of conditions, including snoring, allergy, TMJ and jaw pain, thyroid, hearing loss, audiology assessment, Meniere’s disease, ear pain, and sore throat, these templates are not only ENT-specific, but can be further customized for each physician in your practice. While creating these templates from scratch would be time-consuming, this functionality puts the most relevant information at your fingertips. As otolaryngologists treat many complex medical conditions, decision trees offer a valuable way to effectively treat patients. Ideal EMR for otolaryngology solutions will include fully developed, practice-defined clinical pathways which can be used as is or customized for a physician's needs. These include complete content for adult and pediatric ENT services, facial plastics services, allergy services, head and neck oncology and neurootology. The integration of otolaryngology-specific codes can help your office quickly code otolaryngology and ENT diagnosis and procedures and capture these into electronic “superbills” for fast, efficient and accurate coding and billing. Your chosen ENT software must include built-in E&M coding advisor which enables you to confidently charge the appropriate level of service based on your encounter. Otolaryngologists rely on a multitude of medical devices. Your chosen ENT software should be designed to integrate with the full range of equipment, including laryngoscopes, audiometers, otoscopes and other devices. This seamless connectivity conserves both time and resources while ensuring accuracy. 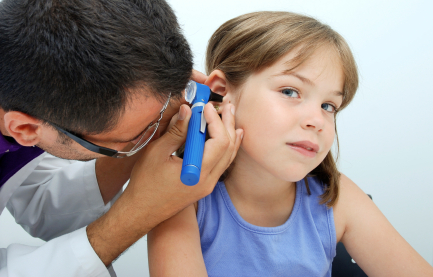 Because audiology exams are frequently used in otolaryngology, the best EMR software has the capability to interface with audiogram software for the direct and simple creation of audiology charts. Audiology-specific exam findings, such as otoacoustic emission measurements and electrophysiologic tests, are preloaded for quick and thorough charting. From a Skin Endpoint Titration (SET) allergy module which automatically calculates end points and vial concentrations to prescription "hotlists" and drug databases with interaction checking, otolaryngology-specific EMR features increase efficiency, accuracy and safety. Patient education is an essential part of the healthcare system: the more informed patients are, the more likely they are to participate in their own treatments and outcomes. Otolaryngology offices frequently send patients home with print outs about common conditions, wellness guidelines, and other documentation. Rather than reinventing the wheel time and again, EMR software streamlines access to documentation and other educational information to improve communication between patients and staff. An online patient portal further enhances patient engagement. While EMRs are designed to universally improve patient care and record-keeping, their customizability is what allows them to integrate within any practice. While issues like system architecture and choosing a certified ENT EMR service are relevant across all disciplines, selecting one with these seven specialty-specific features can ultimately lead to better outcomes for your otolaryngology practice -- both in terms of quality of care and return on investment. If you're considering implementing a new Otolaryngology EMR at your clinic or replacing one that you already have, we can help. Contact the experts at RevenueXL today. How to achieve ROI after you replace your EHR? Why small practices are choosing to implement Cloud-based EHRs?